The 31-year-old started his career with the Argentinian giants before leaving in 2004 to enjoy a trophy-laden spell across Europe. "The return of Carlos Tevez in an extraordinary moment of his career is fantastic news for all partners and supporters of Boca and Argentine football." Boca Juniors confirmed the transfer while Tevez was on the Argentina bench for the Copa America quarter-final against Colombia. He later scored the winning penalty to send his country through to the semi-finals of the tournament in Chile. "It is a reality. It's official - Carlos Tevez returns to Boca," a tweet from the club's account read, along with a hashtag that translates to 'Tevez returns home'. Tevez started his adventure in England with West Ham before leaving the Boleyn Ground to join Manchester United, where he became a two-time Premier League title winner and helped the club win the Champions League. A controversial switch across the city followed to join local rivals Manchester City, where he won the Premier League and FA Cup double. 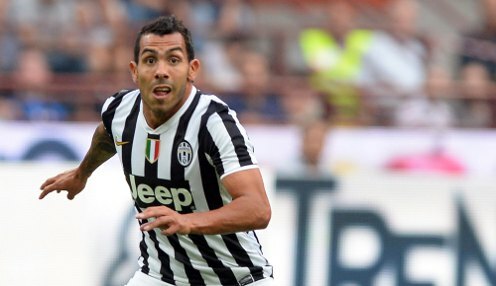 He moved to Juventus in 2013 and became a two-time Scudetto winner, as well as winning the Super Cup and Coppa Italia. Boca president Daniel Angelici said: "It is a day of joy and great satisfaction. The return of Carlos Tevez in an extraordinary moment of his career is fantastic news for all partners and supporters of Boca and Argentine football. The presence of Carlos will give another leap in quality to the great squad we have." Tevez scored 38 goals in 110 games during his first spell at Boca, where he won the league in 2003, as well as the Copa Libertadores and Copa Sudamericana, and was voted South American Player of the Year for three straight seasons. Juventus have already replaced Tevez with Mario Mandzukic from Atletico Madrid and are quoted 1/1 in the Serie A outright betting for next season.